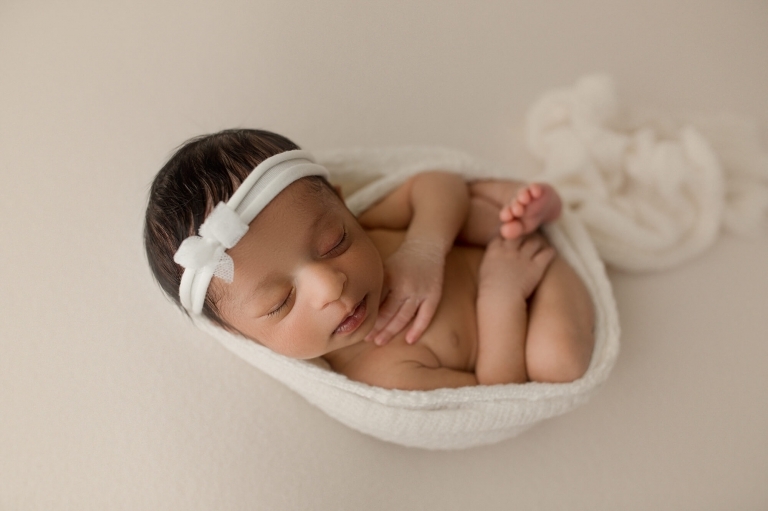 As a Bellevue Newborn Photographer, its such an honor when clients travel to me! I often have clients travel up to an hour for their session and I couldn’t be more grateful! Its one of the best compliments I could receive. One of the things I’m grateful for is that I get a lot of diversity in my studio. 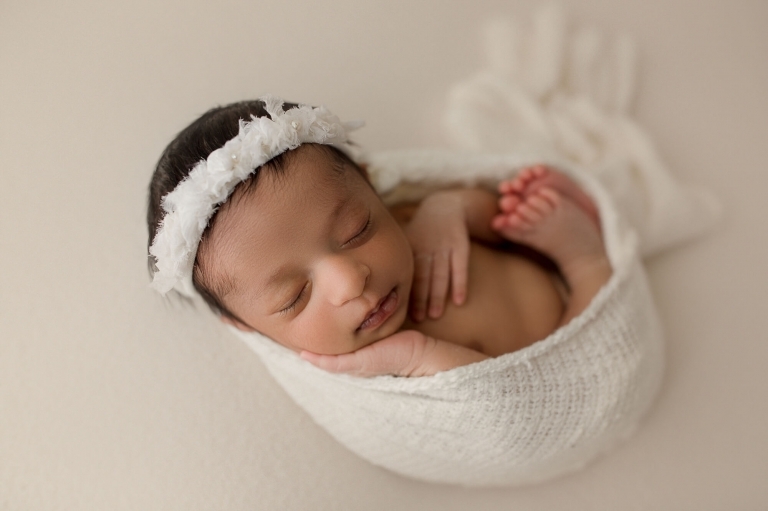 I feel so lucky that I get to photograph the most beautiful families, from all different ethnicities! And this family was one of my favorites by far! Something that was very important to this family was taking photos with the grandparents. 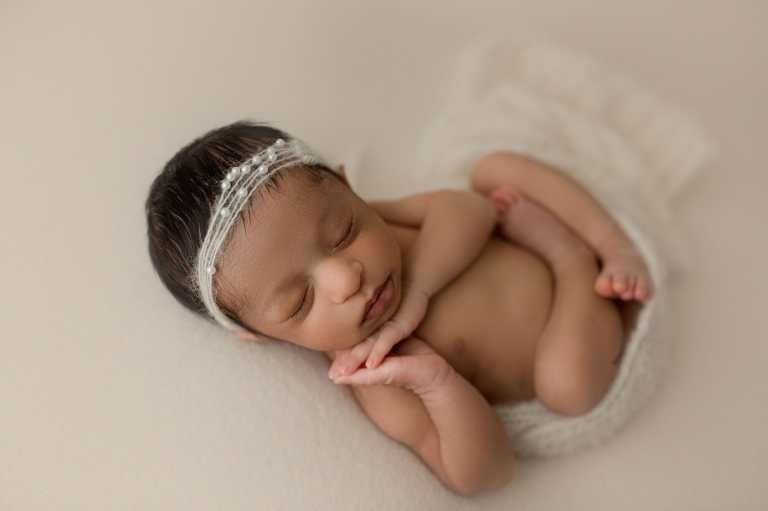 I don’t have grandparents come to my Puyallup newborn sessions often, but its always such a joy to see them when they do! And because family is so important to their culture, I was honored to photograph them all! Mom chose the perfect colors for their baby session. I always recommend cream for every session because it can go anywhere in your home and matches most anything. 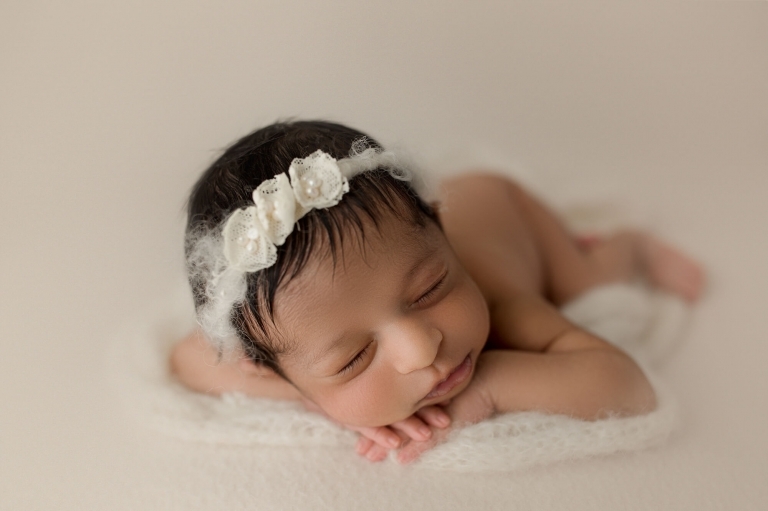 I especially love the images of this newborn girl in the white cradle by Rozzi Rayne Studio Props! The lavender drop by One Sheep Two Sheep is my absolute favorite! If I could use it on every baby girl, I would! There’s just something about the color that makes me swoon!